If you're taking your Wear OS smartwatch out for a run without a phone and want to explore the area, you're going to need directions. Luckily, there's no better option than Google's own map app. 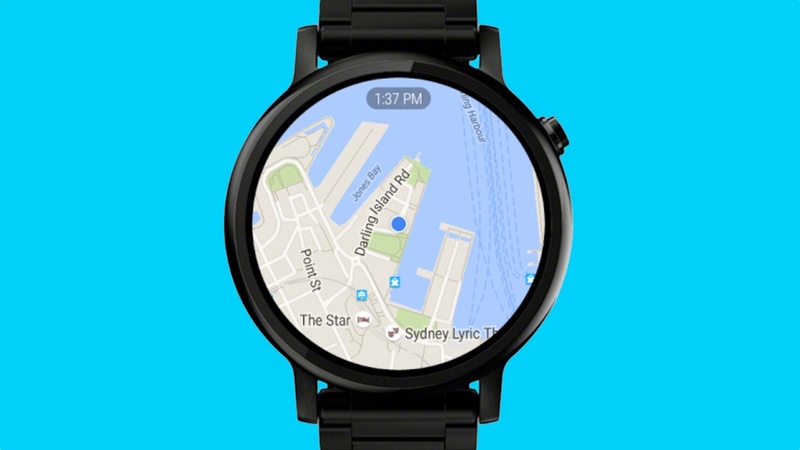 Google Maps isn't preinstalled on watches running Wear OS, though, so you're going to have to install it from the Google Play store first. But how exactly do you use it? Does it work the same way on the iPhone and Android phones? Let's walk through it. Installing Google Maps on your Wear OS is simple - as simple as installing every other app on your wrist. You're not going to have to sign in, either, but do make sure you have the Maps app installed on your phone. The first thing you need to know is that Google Maps is severely restricted if you're using an iPhone. You can't get navigation, for one. The only big thing you can really do is scroll around and check out the area. You can select some businesses and restaurants, but you can't navigate to them. If you've got an Android phone, though, there are a number of things you can do. The main thing you might want to know is how to navigate around. This is pretty simple, and leans heavily on Google Assistant. Swipe over to the left and access Google Assistant. Say something like,"Navigate to McDonalds". A Google Maps card will pop up and give you directions. The Google Maps' navigation card will let you check the distance to your destination and your estimated time of arrival. You'll also get a full list of turn-by-turn directions, as well as an option to pull up the full Google Maps Wear OS app. Navigation will work even when your phone is locked. In fact, your always-on screen will transform into a black-and-white version of Google Maps and keep you informed of where you are. However, it's worth keeping in mind that the experience, even when connected to an Android phone, can be inconsistent. We've had occasions where the map hasn't popped up, or even the turn-by-turn directions won't display until the full app has been opened on the phone first. It's not clear if this is a deliberate change by Google since Maps first became available on Wear, but it certainly seems to vary from watch to watch with no real rhyme or reason. Another thing to note: You can use Assistant to ask for places around you, and when you do they'll be brought up in a card. You can then tap on then and navigate to them. Ending navigation is also simple, and it only takes a couple of swipes and tap. Swipe over to Google Assistant. Tap on the Google Maps card. You don't have to use Assistant to get around. You can actually open up the map and look around. To move around, you can use the crown to zoom in and out of the app. You can also use the plus and minus button up at the top. On the left side of the screen, there's a button that'll locate where you are in the map. So, if you're browsing around the map and tap it, you'll be zoomed back to your location. While browsing around, you can tap a business or restaurant and you'll see a blue arrow. Click that and you'll be navigated to the location of your choice.